Odisha, God’s best kept secret has been blessed with the richness of culture, heritage, music, dance form. Abundant mineral resources, forest reserves, fertile arable land and water resources contribute to its richness. This natural bounty coupled with the demographic dividend is an ideal ground for all the sectors of economy in Odisha to take off. But its very unfortunate that Odisha has been always regarded as poor state. People outside Odisha know it as a black pot and for all wrong reasons more than the right. Even with these resources, the state carries a baggage of ‘being poor’ to the people who stay outside the state. 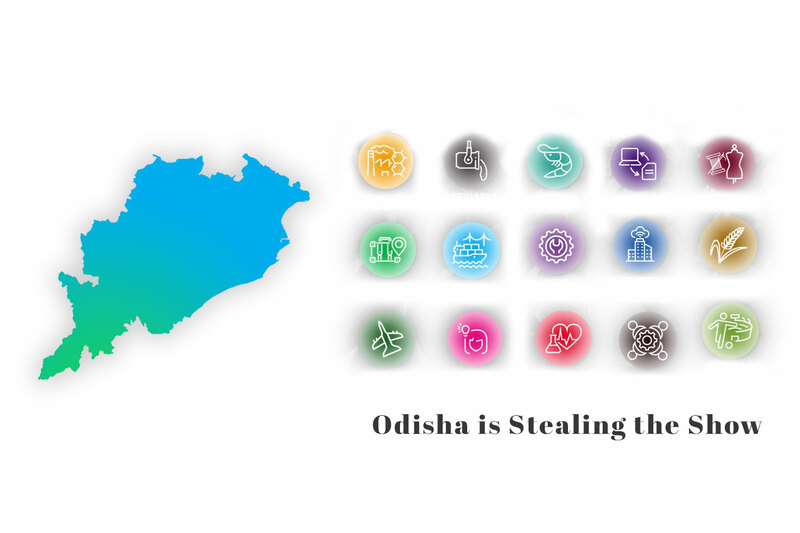 The residents of other state and countries undermine Odisha and Odias, when it comes to economy, skill or technology. During my travel, I have come across people who either don’t know about the existence of Odisha or know it as a poor, backward, malnourished, riot- prone and red corridor state. The dismal picture is blown out of proportion whether it is Dana Majhi or Kalahandi instead of stories of success, transformation and change. Odisha has good stories but that is not highlighted. If the same gory incidents happen in the other states of the country, they are not castigated the way Odisha is. We have encountered such jaundiced opinions when we started Kalinga Institute of Industrial Technology and Kalinga Institute of Social Sciences in 1992-93. Odisha’s name in the International Scenario varied between non-existent and not happening to cant-make-things-happen state. But such biased opinions and views have been systemically challenged by the 18 years of Stable and transparent Governance. It has become a Gateway to the ASEAN Region. It has the Highest mineral production of India’s total value Largest Producer of Aluminium, Steel and Stainless steel in the Country. Odisha is a home the largest port in India in terms of average output per ship-berth-and the largest private port in Eastern India in terms of cargo handling capacity. Today, we can boast of 8000 Km Highways, 2500 Km Railway, 1,25,000 acres Industry Ready Land. There has been a wave of change, change for good. Bhubaneswar has grown exponentially. It took a period of 15 years, but today, Odisha is credible, visible and accepted across the globe. A lot of international and national organizations are either holding sectors or are investing in Odisha. Bhubaneswar has been a pollution, riot and traffic- free city, yet an advanced cozy one. Bhubaneswar has attracted a lot of crowd contributing to the growth of the state because of the infrastructure, growth and industry development. Its like a charcoal turned into diamond by the phenomenal efforts of an alchemist and a visionary leader, Shri Naveen Patnaikji. In a general theory, if the outfit is beautiful and worth a praise, it has to be exhibited for the others to explore to get visibility, credibility and acceptability. There is a correlation of the state’s outfit to host and conduct events and it’s visibility. Everyone is now appreciating the efforts towards dynamism. Odisha is a home to many International and National Events in Commerce, Sports, Tourism, Skills, Women Empowerment and every progressive step towards development. Odia Diaspora all over the world is creating a name for themselves in niche and cliched domains and are feeling proud to be the part of Odisha. Shri Naveen Patnaik ji has given an identity to Odisha- A New Odisha through his vision backed by his commitment. It has become a host to many events- World Cup Rugby, Hockey World Cup, Asian Athletics meet, Make in Odisha Conclave and so on, conceived, implemented and executed in a flawless and fabulous manner. This has given a place of prominence and mileage to Odisha. Appreciation comes with visibility and that has been true for Odisha too. Make in Odisha is one of its kind, whose grandeur keeps increasing manifold with each edition. 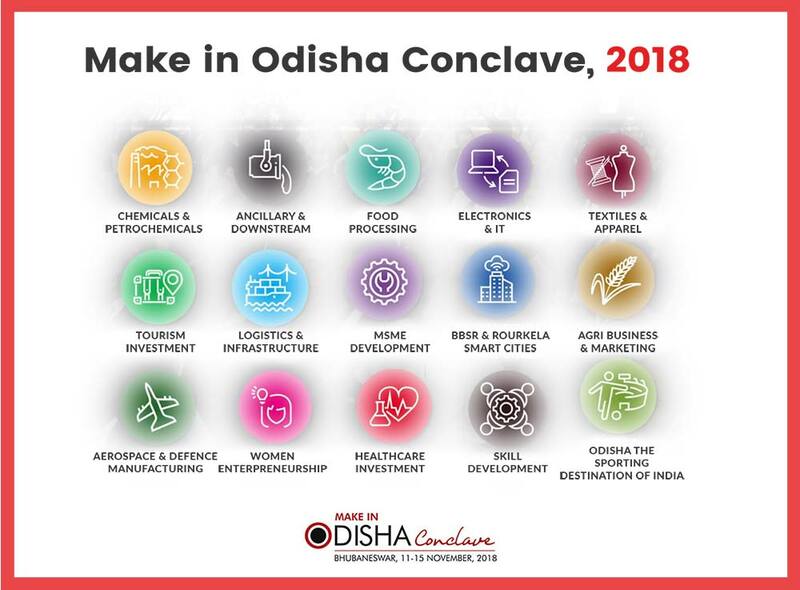 Make in Odisha Conclave 2018 has done too well. A whopping Rs 4.20 lakh crore investment has been promised by leading corporates to generate employment for nearly five hundred thousand young people. Potential investors have shown up because they feel extremely safe and reassured due to a robustly stable regime making available a truly investor-friendly environment with extremely supportive policies for ease of running business. An Asian Development Bank study says no other State of a India can match with the affordable labour cost in Odisha, where people lead a content, happy life. They do not feel exploited despite being fully aware of the higher labour charges in the other similarly-developed States. Odisha is quietly stealing the show with its competitive advantage in the cost of doing business. Odisha has positioned itself as an investment hub after staging road shows in Mumbai and Bengaluru, eventually culminating in the first-of-its-kind summit ‘Make in Odisha’ in 2016. From the three events, the State bagged 124 investment intents, 76 of which have already translated into firm commitments. The State Government has identified six focus sectors, which include agriculture and food processing, chemicals and petrochemicals, textiles, downstream and ancillary, ESDM-IT and ITeS and auto and auto components. The Who’s who of the corporate sector joined the conclave. It gave an exposure and visibility to Odisha outside the state and India. The acceptance of Odisha has increased making the Odias in the state and across the globe very proud wherever they are quite unlike their earlier shyness about their own native state. They are happy and the next generation will be happy that something is happening in Odisha. This brand building will automatically take care of Tourism, Hotel, Hospitality and travel sector. With the growth in these sectors, the development in the state will be accelerated and the problems of Unemployment and Underemployment will be drastically reduced. Odisha has become the sports hub and capital of the country. It has hosted many National and International Sports Events like Asian Athletics Meet in 2017, World Cup Rugby and now the World Cup Hockey. More people come to Odisha and carry a part of Odisha in their hearts. This has been made possible by the visionary leadership of Hon’ble CM of Odisha. Having hosted around five international sports events in the state capital, Odisha is now turning into a desirable destination for international sports events. It is not surprising, therefore, that stakeholders of this sector are optimistic that the road ahead is bright here. The low population density of Odisha, new infrastructure for various athletic events, complemented by its improved air and rail connectivity and a plethora of tourist destinations seem to favour the state to become a hub of major international sporting events. The infrastructure we have in Odisha – the hotels and other amenities, including the Kalinga Stadium, are not inferior to those in any other part of the country. Aside from the infrastructure, the active support of the state government towards promoting sports has helped the state to achieve the distinction of being the country’s potential sports capital. I am happy that I have been also working in this thing for the last 20 years restlessly. I know the impact of such mega events and I get immense pleasure out of it. I convey my good wishes for forthcoming watershed events. I hope many more mega National and International events will happen in Odisha that will be beneficial to one and all and give a new direction to Odisha state for its proper growth and development.